Electrical hazards are known to cause fatal injuries and can significantly damage expensive security equipment and treasured possessions. One way of making sure you are effectively adding to the safety of your home is to prevent electrical mishaps from ever happening. The following list includes some of the most common electrical hazards and what you can do if you encounter one of them. Electrical wiring installed by a professional electrician will ensure a decreased possibility of electrical accidents happening in and around your house. There is a misconception that old electrical systems eventually become faulty over time, but this is not really the case. Upgrading electrical systems by unlicensed individuals is usually the primary culprit. 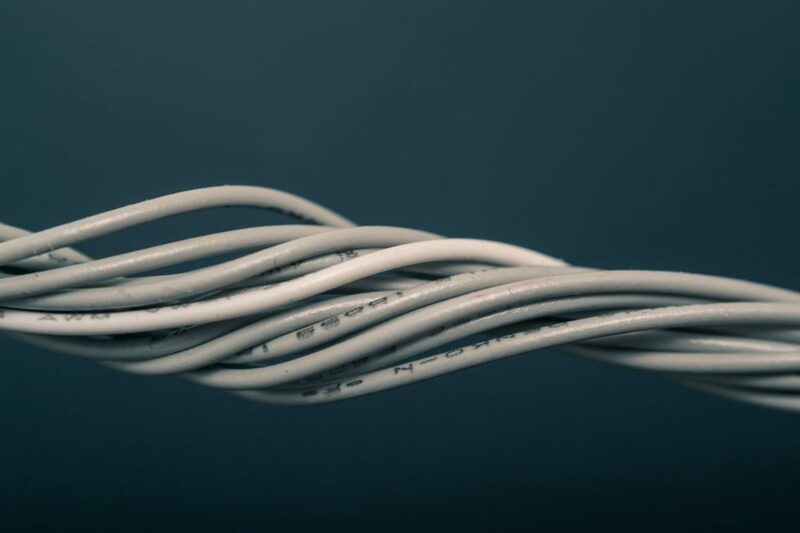 If you have aluminium wiring or you are considering adding certain appliances such as an air conditioner to your home, then you may need to alter the wiring throughout certain areas of your property. Not doing this properly can result in accidental fires, burns, or electrical shock. As an added safety measure it is always a good idea to install a smoke detector for some extra peace of mind. All power outlets are designed to safely transfer a limited amount of electricity. If you overload an outlet or a power strip with multiple high voltage devices then your power outlet can turn into a fire hazard. It is also important to not plug multiple extension cords into one power outlet. Rather divide the devices you continually use equally among a number of power outlets in your house. Be sure to use power strips that come with circuit breakers which have shown to effectively minimize the chances of an electrical fire. If you decide to invest in an extension cord, make sure that the brand you are buying has been approved and tested by an independent laboratory. Remember to not use indoor extension cords outside. They do not have the same built-in resistance when it comes to protection from the elements. Longer cords can handle more electric current so it is important to evaluate the type of cord you will need and if it will be able to support the amount of wattage the plugged in device will require. Discard damaged cords and do not try to fix the internal wiring of the cord yourself. In one of the online safety management discussions by the University of Western Australia, you can find valuable and comprehensive insight on how to up the safety of your general appliances. The key is to visually examine all appliances before using them, especially if you have used those appliances extensively in the past. If an appliance constantly trips the circuit breaker it may point to an internal defect. This could potentially be dangerous and will have to be looked at by an authorized repair centre. Stop using the appliance immediately and get a professional, licenced opinion. Damaged insulation of live electrical wires are known to cause accidental fires and can also fatally harm anyone that comes into contact with them through electric shock. Rubber is most commonly used for insulation purposes but is known to tear after extensive use. Although you can fix minor insulation problems yourself using heat-shrink tubing and electrical tape it is best to let a professional help you out. If you mix up the wiring you can potentially destroy a much-loved appliance or even risk injuring yourself. There are some extra things you can do to make sure you minimalize the chances of encountering a potential electrical hazard. Taking these steps to protect your home and family can be considered a worthwhile long-term investment. When you are done using an appliance it is best to unplug it to reduce the risk of potential shock. Turn off your light at the switch before replacing the light bulb and do not place a lamp within close proximity of flammable materials. If you have small children it is really important to keep electrical sockets covered at all times. Do not insert foreign objects into appliances whilst it is plugged in or in use. Never handle electrical appliances with wet hands. To minimize your chances of electric shock you can look into the use of a safety switch, also known as a residual current device. Remember to also never use electrical appliances near water or in damp environments. To minimize the risk of an electrical hazard it is important to take note of the condition of your favourite appliances. Being vigilant and staying up to date with the latest safety precautions regarding electrical wiring will allow you to better shield you and your family from dangerous situations. Hiring professional electricians may be more costly, but they are a better investment when it comes to ensuring your safety.